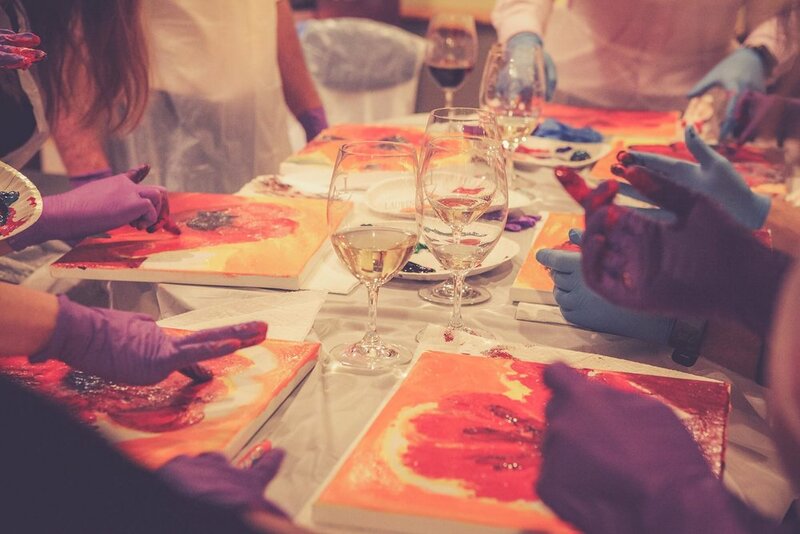 Paint And Sip For A Cause! NO BRUSHES! LET'S PAINT WITH FINGERS! You are invited to explores the FUN to try out Finger Painting with our amazing local artist Kimberly Adams! On top of the Parklane gallery in the heart of downtown Kirkland, there is a charming art studio, where you get to be inspired to create your very own Masterpiece. Painting level - Entry level up to a paint master! ALL the ticket sales goes straight to our Summer Art Makes You Children ART CAMPS!